Jackal Fencing is so confident in the quality of its product, raw materials and manufacturing processes that we are proud to provide you with this manufacturer’s warranty. Rest assured that the structure of Jackal Fencing manufactured fences and gates will be free from manufacturing defects when used under normal residential conditions. D & D Techologies products are covered by a Lifetime* warranty. 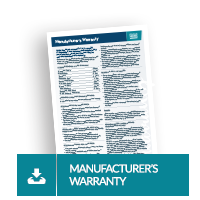 The warranty claim is made by the original purchaser and proof of purchase is provided. All components and parts of the fence have been supplied by Jackal Fencing. The screws used conform to AS 3566-1988 Class 3 or better. The fence is properly installed as per the manufacturers installation guide. The manufactured product is maintained in accordance with the maintenance guidelines contained in this document. Consequential loss or damage however they occur. Damage is sustained during handling, storage, installation or after erection. Jackal fencing is installed less than 1500 metres from a marine location. Damage is a result of abnormal use, abuse, neglect, insufficient maintenance or accident. The fence or product is used for reasons other than which it has been designed. Movement of the ground or structural defects of any buildings effect the structural integrity of the manufactured product. Damage is caused by the product coming into contact with moisture retaining substances including concrete (excluding the part of the posts within footings), bitumen, soil, ashes, fertilisers etc. Products are not covered under this warranty when they’ve been in contact with quick set or rapid set concrete. The product is exposed to adverse loads of harmful chemicals other than rain falling directly on the product. Our product will cope with a certain amount of wear and tear but inappropriate use of our products will not be considered a manufacturing defect and thus will not be covered by this warranty. Jackal Fencing reserves the right to inspect any damage claim to determine a material defect is affecting the structural integrity of the fence. Jackal Fencing may replace defective products at its absolute discretion. Powder coating is a decorative finish and natural fading will occur over time. Fading is not covered in this warranty. Jackal Fencing accepts no responsibility for pool fencing meeting the required regulations if no reference was made declaring it was to be used for a pool at the time of initial order. Jackal Fencing does not warrant the work of 3rd party installers. Claims must be made in writing to: sales@jackalfencing.com.au along with proof of purchase within 7 days of problem occuring. Upon approval of a warranty claim, goods are to be returned to Jackal Fencing by the purchaser. The best way to ensure the longevity of your new Jackal Manufactured product is to consider its location. Installing your new Jackal fencing closer than 1500 metres from a marine location, where it will come in contact with harmful chemicals or exposing it to adverse loads will void the Manufacturer’s Warranty. Establish a regular routine (with a log of dates kept) for washing your new Jackal Fence. Warm soapy water and a soft brush or rag is all that is required to keep it looking its best. Once clean, a rinse with fresh water to remove any soap will leave your Jackal Fence sparkling. Any products from other suppliers should be maintained in accordance with the supplier’s recommendations for that product. If you live in a normal rural or suburban area the process should take place every 6 months. If located in a coastal or high pollution area it is suggested you perform the above maintenance every 1-2 months.